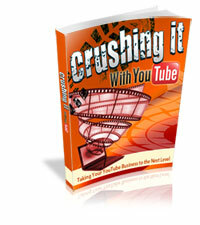 Learn how to drive a high volume of quality visitors to your website with Youtube videos. Tips and techniques from the pros on Youtube marketing so you can get in on the action now and leave your competitors in the dust. YouTube has around 500 million unique users who visit every month with almost 100 billion page views.Â Use of YouTube is growing at a shocking rate and website owners cannot afford to ignore this social media marketing channel any longer if they want to stay on top of the game in Internet marketing.